Under the responsibility of Chef Davy Tissot, Saisons is a story of meeting tradition and modernity. The desire to create a memory, a taste and visual emotion. 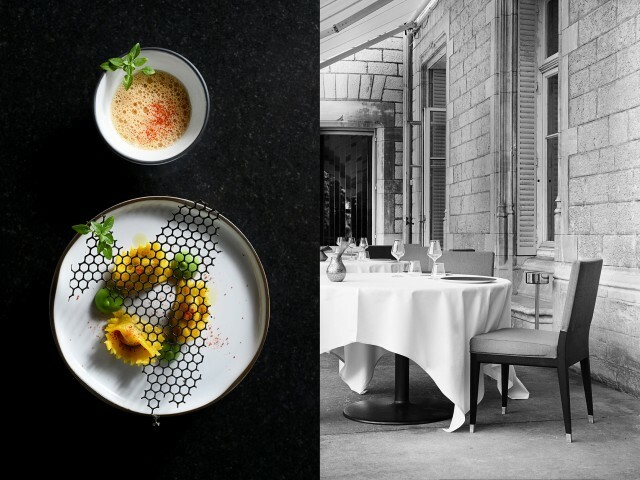 Titled Meilleur Ouvrier de France in 2004, Davy Tissot follows a brilliant journey punctuated by the great names of French gastronomy (Paul Bocuse, Philippe Gauvreau, Jacques Maximin ...). After having directed Les Terrasses de Lyon , the star restaurant of La Villa Florentine, Chef Tissot is now launching a new challenge: to transmit to the new generation of the Paul Bocuse Institute its values ​​of excellence and service improvement. Give pleasure through the kitchen and build the future. In his daily quest for excellence, he inspires his team with rigor and commitment, making it a point of honor to offer a cuisine with harmonious flavors. Located in the prestigious setting of Château du Vivier, Saisons restaurant is open Monday to Friday, for lunch and dinner. The menu offers three menus, whose flavors change with the seasons.